Need a great side dish for the holidays? Maybe try something new that is guaranteed delicious like this MWM Cheesy Cauliflower Fennel Casserole? I dug this out of the archives for you for Mouth Watering Mondays today. Have you ever tried fennel, or cooked fennel? It is a lovely vegetable that definetly gets overlooked. When cooked and baked it has a very mild anise sweet flavor and is lovely paired with a vegetable like cauliflower. Adding in lots of creamy cheese only makes this casserole even more scrumptious. This side dish will be a welcome new addition to all your other traditional fixings for the holidays whether it is Thanksgiving or Christmas or just a special weekend meal. Fennel is a flowering plant species of the carrot family. I just popped into Wikipedia and saw this. I did not know this fact myself. The tops or fronds of a fennel can be used as a herb and the bulb bottom as a vegetable. It is a perenial which has its’ natural habit on the shores of the Mediterranean but is widely available in our grocery stores now. Not only is the cheesy sauce rich and delicious with the cauliflower and fennel but the cracker topping is divine too! This is a simple recipe and can be made ahead with the topping separate. At time of baking just sprinkle the topping on top and pop it into the oven. If it has been refrigerated it will require further time to heat through. Try some fennel in your dishes you will be surprised with it wonderful flavor addition. For the original post and the RECIPE come on over HERE!! I hope you enjoy this casserole with your friends and family this festive season!! That looks so good! This is going to be making an appearance on the table this Thanksgiving for sure. Outstanding! I cannot wait to make this for Thanksgiving. It’s going to go perfectly with the turkey. Cheese and cauliflower are such a great combination! Great recipe I’ll have to make this for the family one day! That looks amazing! It does not look any different than it was mashed potatoes! I wish I had the ingredients to make it for dinner tonight. I have just recently discovered the benefits of cooking with cauliflower. It has become a good, healthy source of food. This is just another good example of that. I love finding new recipes to try. This looks so delicious and easy to make. My family is going to love it. This looks so good! 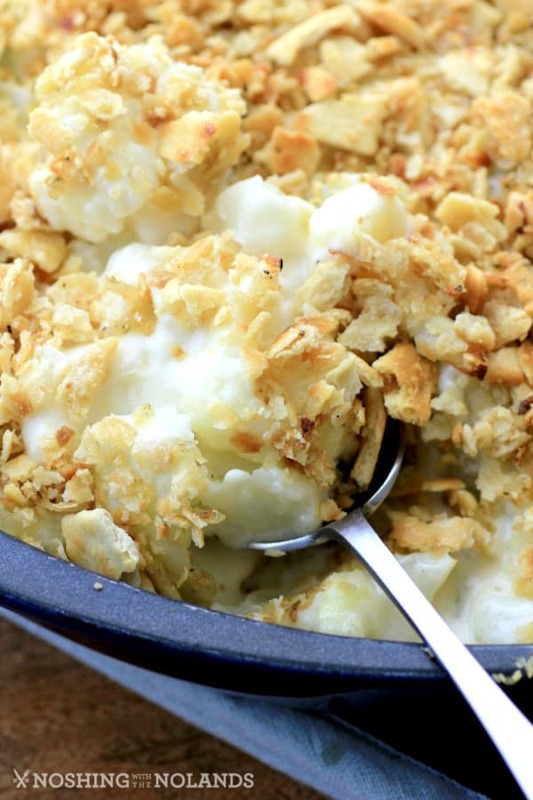 I love cauliflower and cheese so I’m sure this casserole is amazing. Cheese and cauliflower are such a great together! Great recipe, I can’t wait to try it! I’ll have to make this soon! Oh my yum! 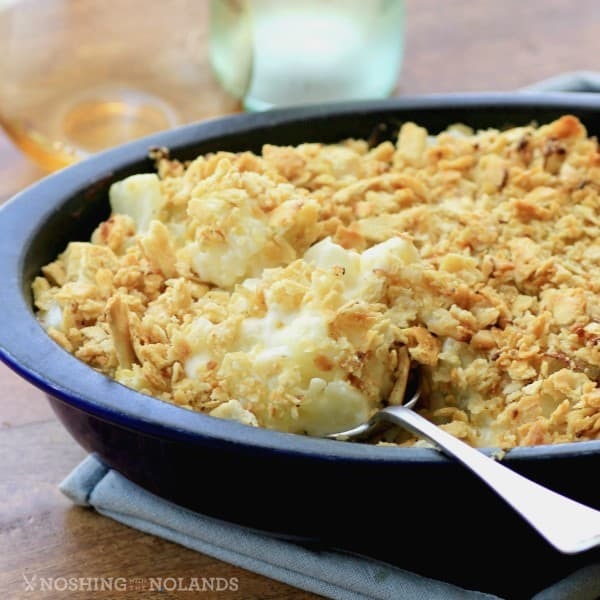 This casserole looks divine! I would love to try to recreate it for my family. I have never tried anything like this before. But it looks really good! I will definitely make this! I just got some cauliflower today and was wondering what to do with it. This looks good. My kids are not cauliflower fans, but I’m really excited to try it in a casserole and see if they’ll like it. thanks for the recipe! I love cauliflower plain steamed or roasted. However, your recipe with cheese and fennel looks so mouth watering I’m going to bookmark this so I can make it for my family. Thanks for sharing. This is one for the Pin list to make as soon as possible! All my favorite things in one dish! Yum! This looks amazing!!! I have a head of cauliflower, so I should try this! As a vegetarian I need to find more of these recipes and I am definitely going to try yours! You make it look so gourmet and DELISH-thanks for the recipe!! I am just now starting to love cauliflower, so this dish looks like something I could make and feel good about!